At Life Wellness Centre, we ask How Healthy Can You Be? ™ We work across disciplines to provide you interconnected care and therapy to restore your health and well-being. Whether you need immediate relief from injury or long-term support for chronic concerns, we blend the following disciplines to help restore your health. Chiropractic is the primary entry-point for individuals that come to us. In general, chiropractic helps improve health by addressing disorders and injuries of the musculoskeletal and nervous systems. With more than 24 years in private chiropractic practice, we offer incredible depth of experience in treating injury and disease. This long experience led us to found the Life Wellness Centre to provide interconnected care and therapy that achieves even better results. Therapeutic yoga is holistic wellness modality (like chiropractic or acupuncture) that helps to restore your body’s health and well-being. It requires your active participation to assist your body in healing itself. Why might I need therapeutic yoga? Therapeutic yoga can help reduce or even heal many chronic or acute physical ailments, including aches and pains in the back, legs, arms, neck, hands, feet, shoulders, hips, and knees. Therapeutic yoga can help you recover more quickly from injuries (recent or old) and from surgery. In fact, doing therapeutic yoga before surgery can help prepare you for surgery and speed your healing after surgery. If you suffer from long-term or progressively debilitating conditions, therapeutic yoga can transform certain physical limitations into greater physical ability, helping to ease aches and pains along the way. Even if you just want to improve your posture and physical abilities, therapeutic yoga can form an important cornerstone for your health goals. Athletes also find therapeutic yoga to help improve or maintain their performance and prevent injuries. How does therapeutic yoga differ from yoga offered at health clubs or yoga studios? Just like taking a regular yoga class, doing therapeutic yoga is an investment in your health and well-being. With therapeutic yoga, however, Michelle will work with you one on one—not in a group—to develop specific movements suited to your individual needs and abilities. Michelle uses yogic guidelines and techniques for breathing and for body awareness, movement, alignment, and healing to restore your body’s overall health balance. Do I need to have experience doing yoga before a therapeutic yoga session? You do not need any experience in yoga before working with Michelle. She will meet you where you are and design a home practice based on your physical condition and abilities. What are Michelle’s therapeutic yoga sessions like? The initial session begins with a structural assessment of your posture and condition. Michelle bases her assessment on your breathing, movement ability, and your body’s physical alignment. Next, she creates a unique practice for you involving specific movements suited to your individual needs. Michelle helps you with each of the movements, making sure you know how to do them properly and safely. She will also draw simple pictures depicting each of the movements in your custom-designed practice, which you then take home to do on your own. During follow-up sessions, Michelle will adapt your practice as you progress and experience changes and improvements in your condition. It depends on your condition, your personal goals—and how diligently you practice at home on your own! During each follow-up session, Michelle assesses your progress and either modifies the movements or gives you additional ones to practice. Michelle will work with you to define a therapeutic program that suits your schedule and your needs. What can Michelle offer that other therapeutic yoga instructors can’t? Michelle’s vast experience and well-rounded knowledge covers in-depth training in many styles of yoga, yoga therapy and yogic philosophy, as well as certifications and training in fitness, neuromuscular integrative massage, clinical social work, and physiology and anatomy. Michelle can help you educate yourself about what your own body needs and why. She might include useful instruction about basic anatomy so that you understand how your personalized therapeutic yoga program works to improve your condition. 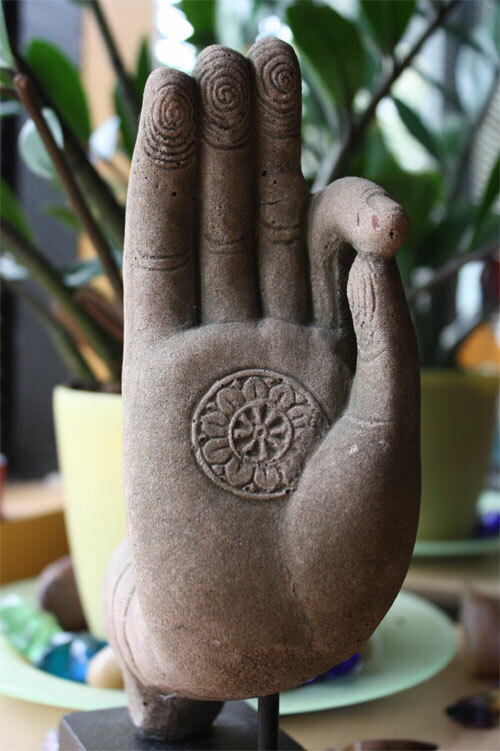 In addition to the body work you receive during your private sessions, Michelle can teach you techniques for relieving tension and tightness through self-massage, reflexology, and fascial release, which you can do at home. More importantly, the self-healing methods you learn and knowledge you gain from therapeutic yoga sessions with Michelle empower you to continue receiving their benefits throughout your life. What if yoga is too hard for me? Yoga is not meant to be hard. It’s not a competitive sport nor is yoga about twisting yourself into a pretzel. Michelle won’t push you beyond your limits. Instead, her gentle approach is custom designed for your physical condition and tailored to meet your specific needs and health goals. As with any new physical movement, you may experience a few new or different sensations; however, yoga should never be painful. It’s important to discuss with Michelle any awarenesses or sensations you might experience throughout your practice. Michelle will work with you to make sure your custom-designed practice offers you relief and healing, not difficulty or pain. Are there any conditions therapeutic yoga cannot heal? In a way, yoga poses are medicinal, but although therapeutic yoga is good for body, mind, and spirit, some people may require additional types of therapies to help improve their overall well-being. Additional forms of counseling, therapy, or medications may also have their place in your healing; thus, therapeutic yoga can form one part of your wellness plan. In addition to her yoga training, Michelle has a master’s degree in mental health therapy through clinical social work and can work with others who can aid in improving your overall health in body, mind and spirit. Keep in mind that appropriate exercise and a whole foods diet also work hand in hand with therapeutic yoga and other methods to create a balanced approach to your healing. The caring team at Life Wellness Centre can help you create a whole body plan that meets your specific needs for a balanced, healthy life. Please call us at 571.643.0255 or email us for more details. Massage therapy extends the benefits achieved through chiropractic and yoga by relieving stress, tension and targeting areas of concern. Our team may recommend massage when appropriate to relieve and condition muscles to support optimal adjustments and alignment. Acupuncture is among the oldest healing practices in the world and has been in continual use for more than 2,500 years. Acupuncture restores and maintains health through the stimulation of specific points on the body.